Winter winter winter. BRRRRRR. Scarfs are out, coats are on. You pile on the layers each morning, hoping it will be sufficient to keep you warm in the chilly weather. When night comes, you scurry home after a busy day at work or school, just so you can get back before the night turns colder. As if you’re not already exhausted, you have to proceed removing the layers, hanging up that heavy coat and then take a nice hot shower. Ahhh, that feels nice doesn’t it…until you need to turn off the hot water and mentally prepare yourself for that 20 seconds of cold. You hurriedly towel dry yourself and change into your pajamas. This cycle repeats for 3 months. Summer in Amsterdam has got to be pretty epic – with all the music festivals, picnic, barbeque and outdoor swimming spots, Amsterdam Gay Pride festival, you can do anything and be anything you want to be! There is much to see and do. Think Starbucks. Think Microsoft. 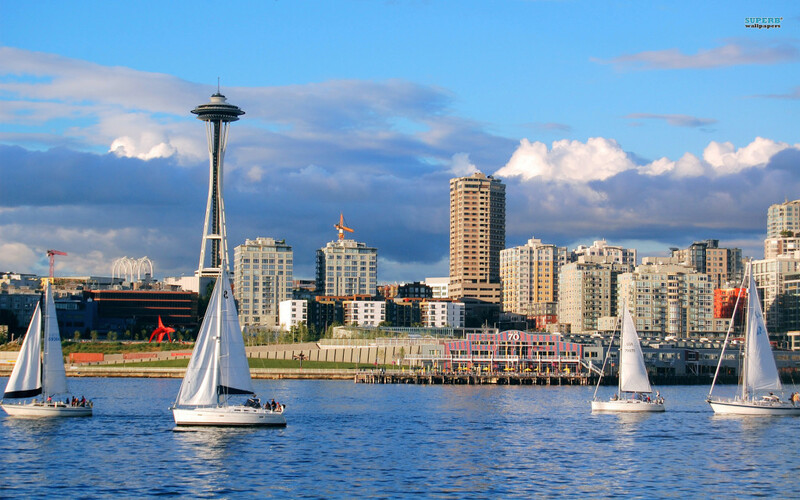 These two highly successful corporations were born in the heart of Seattle. It is no wonder you can find a Starbucks located 200 meters down another one because it is the favourite of locals. With the exclusive Pike Place roast, Starbucks in Seattle offers variety of in house specialty beans for you to purchase! Head down to the famous Pike Place market to shop for local souvenirs, groceries and watch how fishmongers would chant and sing as they compete to market their fish! Downtown Seattle also boasts a wide variety of shops for you to satisfy all your shopping desires. You could also potentially snag your favourite American brands at great deals at the direct factory outlet store just a drive away. Venice – the city that has been highly talked about in articles about global warming. How long more will Venice last before water level rises and covers the city completely? We wish we could tell you but sorry folks, we don’t know the answer either. So before it’s too late, jump over to Venice and visit their famous canals, take that gondola ride and marvel at the historic beauty of the buildings. We are sure Venice will be Ve(ry)nice. (Please give us some credit for trying to make a joke). Bali has always been one of the favourite destinations among Australians. Chill vibes, beautiful nature hikes, nice beaches, great night life and now the upcoming wholefood and healthy café concepts Bali is bringing out – What aspect does Bali NOT have to offer? You could book a villa and have the entire place to yourself for under $150 – that’s not even enough to book a decent hotel room in the city in Sydney ☹ In addition, you’d get FRESH coconuts and all the yummy juicy tropical fruits you love! You could even hire a butler to attend to your needs. And a chef if you’re a foodie. But Bali is beautiful, has cheap food, shopping and all the MASSAGES you need to destress from the pressure you face at work – it’s no wonder Aussies love Bali. If you haven’t been there, go. You’ll love Bali too. Regardless of where you go, it’ll be a sweet escape from the cold. You know you need a holiday. We know you need a holiday. And we know you need money to go on a holiday. So turn your house into a holiday apartment, so it pays off for a part of your trip? HomeHost manages EVERYTHING for you – from guest screening to handing over keys, to cleaning up after each guest. So sit back, relax and bon voyage!